Locating the IP address of a DHCP client or factory defaulted device on a network is often a difficult task. In another report, we discussed agnostic IP Scanners for Video Surveillance. 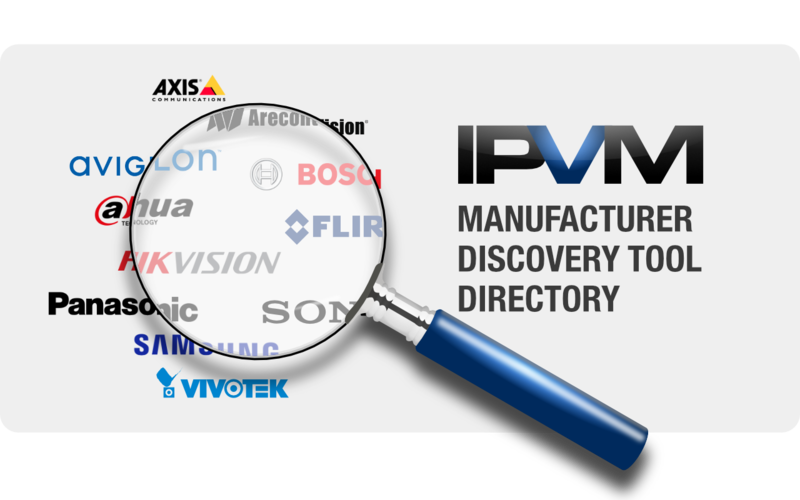 In this directory report we list ~40 surveillance manufacturers that have proprietary network device discovery tools along with links to the location for download. Most OEMs use relabeled discovery tools, so most will generally discover other OEMs. It is also typically safe to use original manufacturer discovery tools on OEM brands. For example, Hikvision SADP will find LTS, Trendnet, W Box, as well as other OEM brands. Below, Hikvision SADP detects an LTS branded cameras (called out in red). Manufacturer discovery tools provide varying levels of functionality. Some provide basic utility such as discovery and addressing of equipment, while others provide more sophisticated features like camera management, bulk configuration, firmware updates, logging, and more. This varies from manufacturer to manufacturer, and some manufacturers provide both basic and advanced apps; examples of this are Hikvision's SADP (basic) vs. Hikvision Tools (advanced) and Axis IP Utility (basic) vs. Axis Camera Management (advanced). 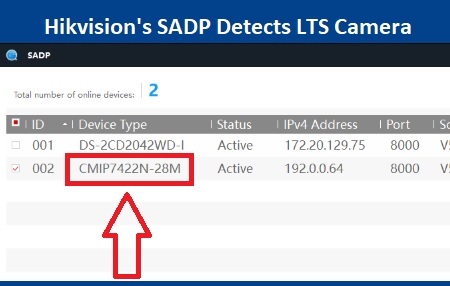 In the image below Axis IP Utility is shown. Note that there are very options, just basic locating / addressing. Although it does not provide the full functionality of Axis Camera Management the installer is only 0.98MB compared to 111MB. Below is an image of Axis Camera Management, note the many options for configuration and management across the top, including bulk configuration, firmware updates, etc., not found in the IP Utility. While this reports covers 41 manufacturers, it is not an exhaustive list. If there is a discovery tool that you would like added to this report please comment below or email jscanlan@ipvm.com with the details.